This is part of a series of interviews I am conducting with practitioners of holistic medicine with the aim of answering the question: "How can we increase our quality of life?" I also find folks drawn to help others in an integrative way tend to be ignited with a deep passion and purpose. These interviews were created to delve into that drive and to discover their tips and insight into living life to its fullest. Ellen Freudberg is a wellness coach with a practice at Village Wellness on the Main Line, Philadelphia. She was kind enough to answer my questions about her passions and her work. Q: Ellen, thanks so much for taking the time to answer these questions. Where are you from originally? ELLEN: I grew up in Cheltenham, Pa., a suburb of Philadelphia. Then I moved to Hartford, CT for school and then back to Philadelphia and then to Mullica Hill NJ and finally to the Main Line. Q: What are you most passionate about right now? ELLEN: Health and Wellness for me and those in my life! If you ask my friends, they will tell you that i am obsessed (in a good way) with feeling well, being healthy, aging gracefully, and staying fit! Recently I have turned my passion into a wellness coaching practice where I help others feel even better than they already do. Q: Ooh, Can you tell us more about your work as a Wellness Coach? What is Wellness Coaching? ELLEN: Sure, as you know, I am passionate about helping people learn how to heal themselves and get in sync with the natural processes that improve health from within. Through my coaching practice I focus on helping my clients develop a “wellness state-of-mind,” learn about the importance of moving their bodies, increase their focus on good nutrition and learning how to breathe and meditate. Wellness coaching is the process of guiding clients toward a healthy lifestyle, while providing valuable support along their journey. Wellness coaches help others achieve their health and wellness goals by providing trusted, science-based information, positive encouragement and continuous motivation. I assist my clients by aligning their own insights, personal strengths, and goals with practical steps and personal accountability. The coaching system I use makes it easy to create healthy lifestyle changes that really endure. When you get good advice about how to make health your hobby, there’s only one possible result: you will improve your health, happiness and sense of fulfillment. You’ll increase your life span and live a happier, healthy life. Q: What do you mean, when you say "make health your hobby?" ELLEN: Wellness is the state of being in good health, especially as an actively pursued goal. Wellness means that you are beginning to consciously explore the concept of living more healthfully. Focusing on wellness can easily become your hobby – a practice that is fun and fully integrated into your life. And best of all, this hobby will improve your life exponentially. It means that you are constantly taking care of yourself, and that you are developing an awareness about how your choices impact your life. Ill give you a super simple example. Want to effortlessly incorporate more movement into your life? Make it a habit to leave your car at the far end of the parking lot when you go shopping. This can potentially make a huge impact on your total daily steps. Do this for 30 days and it will become habitual, automatic, and effortless. Q: Ellen, great advice! What initially inspired you to study and offer this type of coaching? ELLEN: I became a wellness coach, because, after years of living unhealthily, I transformed myself. The transformation came through hard work, education, curiosity and a powerful desire to get better. After this transformation I couldn't wait to share my learnings with my friends and loved ones. I then saw how others in my community would benefit from what I learned and I wanted to share with a greater audience. I enrolled in the rigorous Wellness Coaching program at the Dr. Sears Wellness Institute, where I gained even more knowledge about how to effectively guide others to a healthier, happier, more fulfilling life. Watching my clients grow, improve and get healthier is incredibly rewarding for me. Q: Can you tell us what a typical session with you is like? ELLEN: Here's what's going to happen. At our initial meeting, I carefully interview you to learn as much as possible about your goals and the problems that are blocking you from them. I then develop an individualized coaching strategy for you. Now, everyone is different, so depending on your needs, our followup sessions will look different. If you are trying to lose weight for example. Some fun exercises may include, doing a “pantry makeover,” or going grocery shopping together to learn about foods that work with our bodies (not against it) to make their own internal medicine. We might also learn about new foods or different ways to eat, for example, how to graze throughout the day without gaining weight. And we would discover new ways in which to move our bodies that we actually enjoy and will do everyday. It all really boils down to ENJOYING the path you take to fulfill your goals! Q: What is your end goal when working with your clients? ELLEN: My goal is to motivate and inspire clients to make actionable, achievable objectives that can be reached through consistent application of wellness principles and practices. I want to guide my clients to live as simply and healthfully as possible. I want to motivate and support them personally. Q: What are the benefits of having a wellness coach in your life? ELLEN: The greatest benefit of having a wellness coach is that you have a trained professional to guide and inspire you on your journey. The end result: dramatic improvement in your health and wellness. Q: What is some advice that you offer your clients, that you think would benefit everyone? ELLEN: The single most important advice I offer your readers is the urgency to develop a wellness state-of-mind. Without that, people flounder, try things, give up and fail to change. I talk to clients about the LEAN concept. “L” is for lifestyle (how we live); “E” is for exercise, (how we move); “A” is for attitude, (how we think); and “N” is for nutrition, (or how we eat). Step 1: Pick one of these right now and try to think about how you can make one little change. Step 2: make that little a change a habit, by doing it consistently for 30 days. Q: Ellen, what does your morning routine look like? ELLEN: Before I get out of bed, I do about 20 minutes of transcendental meditation, then I drink a tall glass of warm water mixed with the juice of ½ lemon. And then I am on my mat, practicing ashtanga yoga. Also, if my schedule and the weather permits, I might take a brisk walk. Q: Do you have a favorite book you are reading right now? ELLEN: Prime-Time Health by William Sears, M.D. It’s a scientifically proven plan for feeling young and living longer. Q: Ellen, thank you so much for your time and sharing your passions and advice. Any final thoughts? And where can folks find out more about you or set up an appointment? ELLEN: I think people really want to be the best possible version of themselves. But we all come up against obstacles that overwhelm us. An experienced knowledgeable, certified wellness coach can help. When you get your lifestyle choices under control, you will feel better. And when you feel better, you will look better, think more clearly, and accomplish much more. If you decide to meet with me (the first half-hour meeting is free), I will listen to you with empathy and curiosity, I will be non-judgmental and try my best to motivate you toward a healthy lifestyle that will work and be successful. To schedule an appointment click here. For more motivation and healthy eating and living tips that really work, please read my daily blog at EllieWellness.com. Ellie Freudberg lives in Wayne on Philadelphia’s Main Line. She is a certified Wellness Coach trained by the Dr. Sears Wellness Institute of Englewood, Colorado. She has a Bachelor of Fine Arts degree in painting and art history from the Philadelphia College of Art and she studied art therapy at the University of Hartford. She then spent 30 years as an interior designer, often using feng shui to help clients create beautiful and inspiring living spaces. She's been practicing Transcendental Meditation, Ashtanga yoga and Pilates for decades. In her Wellness practice, Ellie helps clients focus on an array of ways to improve health and gain a greater sense of well-being. I find that people who are drawn to help others tend to be ignited with a deep passion and purpose. These interviews delve into that drive and aim to discover insight and supply tips for living life to its fullest. Stewart Snyder is a Craniosacral Therapist practicing on the Main Line, Philadelphia. He has developed a unique style of Craniosacral called Bhakti CranioSacral Therapy. Q: Stewart, thanks for taking the time to answer a few questions. Its sounds like you have had an interesting journey. How did you end up practicing holistic medicine? STEWART: "End up" is an appropriate phrase. It's been a bit of journey. Five years ago, I quit a really successful corporate career to be a writer. One of the first things I did was take Yoga Teacher Training. While everyone was blown away by the deeper teachings, I just sat thinking "Huh, someone took the way I've been living my life, wrote it down and called it Yoga." I learned about Craniosacral Therapy (CST) there and began that piece of the journey shortly after Teacher Training ended. It's the most fulfilling work I've ever done. Being of service to others and helping them feel happier feels like I've won the job lottery. Q: Why did you make the switch from a successful Corporate job to working for yourself as a writer? Can you tell us about the challenges and gifts that came with that switch? STEWART: This is a can of worms, really. I was always the guy everyone looked up to. I've had a strong "successful" career since my early twenties. I'd learn something on the job that would cause someone would offer me a job with more money or a better title. It was that way for 15 years. It worked... until I realized "success" was not more money. True success is about a fulfilling life... and what I was doing wasn't fulfilling anyone really. It was really hard. We're raised to get an education, then get a job, then work for the weekend until you can retire, then try to enjoy your life while you're struggling through everything your life did to your health. Getting out of that mindset was the biggest challenge. Handing in a two-weeks notice with no other job lined up was the hardest thing I've ever done. It shouldn't have been, but when our head is wrapped into one way of thinking, our mind doesn't want to change it. Our brain just isn't designed to do that. Honestly, the best part - the gift - started with failing at being a writer and finding sustenance doing a hobby. The realization that we don't really know what's going to make us happy, until we experience it, is true freedom. It gives you the permission to just try things that look cool... like teaching yoga... or CranioSacral Therapy... for example. Q: Now, you developed your own style of CranioSacral Therapy. How did that come to be? STEWART: Totally organically, really. I don't even really like to promote that it's my own creation. When I first started doing the CranioSacral work, I found that the biggest feedback came in the spaces where I was stalling, trying to remember the next step in the official protocol. In those spaces, what was really happening was that the body was accepting all the energy without me trying to control what was happening - without me trying to dictate the healing. The body knows what it needs. I began to create places of stillness within the protocol whenever my intuition (their body, really) seemed to dictate it. It has been natural to draw on the concept that love and compassion can heal and transcend all things (Bhakti Yoga). So, that energy gets folded in. Q: So, what is your mission with your healing work? STEWART: You know, some people are trying to change the world. I just want to help our neighbors. What I mean by that is essentially, "doing good" in the world doesn't just come from large sweeping changes. It's in the little daily acts, too. I want to get Linda to the airport on time, help Eunice get her car out of the snow, let Tom out of the parking lot and into traffic. Those "little" things make someone's day and can do even more. Linda's flying to see her mom for the last time. Eunice is a nurse; getting to work to save someone's life. Tom is just trying to get home to raise his kids... to be the type of adult that lets someone into traffic. Showing up in the world isn't just about grandiose change; it's about contributing to the experience of someone else's life. Ultimately, I love helping people experience bliss in the human experience. This machine - the body & soul - is truly amazing and beautiful. Q: What are 3 healthy habits or lifestyle recommendations you want to share with our audience? Sleep! Work, then rest. We need that rest part. Love this body. Use good fuel and make sure it all moves correctly. Some type of waking time absent from the world. Of course, I'm going to say meditation, but a walk in the woods works, too. STEWART: Ha ha ha. Yeah! It's called yoga. Every minute of every day. Q: Can you describe what it means to live life like a yogi? STEWART: Faith and Ethics. It's that simple. The core teachings of Yoga describe everything as being one - that we are to treat one another, the world around us, and all things as if they are ourselves. Looking at the world from the view that all things are divine is Yoga. Whether it's done through love, action, wisdom, or union doesn't matter as long as it's for the good of all things. Yoga was designed to be practiced in the real world, not shapes confined to a sacred space. Q: What book do you or would you like to give away most? STEWART: I always have a copy of the Dhammapada that can be given to someone who feels lost. It's a good place to start. Q: Do you have a favorite quote? Q: What are you currently most passionate about? STEWART: The energy cycle of the soul... and good beer. Q: Can you tell us what you mean by "energy cycle of the soul"? STEWART: As the CST work moves forward for me, more and more subtle pieces become visible. Everything is energy. Energy moves in waves. The human body has an energy to it and thus a wave to that energy. Imagine sine and cosine graphs back in Math. Those waves can be all sorts of shapes, but the equation creates a pattern - length, height, amplitude. So, too, the human's wave can, and is, unique to the individual. Some high/low and excited. Some smooth an easy. A wave of energy that encompasses all pieces of you - the body, the breath, the consciousness, the experience you give others. Sounds like a pretty good definition of the soul, doesn't it? The way two waves overlay - interact - is how we resonate with others. It's why we feel like home with some people and why others feel like bad ju-ju. STEWART : I think "good beer" answers this question, too. Stewart is best described as having one foot in the modern world - and one squarely in the old world of mystical healers. The first half of his professional life was in front of a computer supporting systems and infrastructure in what we “typically” define as a great career. This gave him a deep and personal understanding of the health sacrifices our “typical” path requires of us. The second half of his professional life has been devoted to helping you counter those lifestyle demands by decoding old-world magic into contemporary methods. He first dug into CranioSacral work studying Hugh Milne’s visionary approach. Milne considers the work a spiritual art paired with a sense of awe for the individual. Stewart continued his education with certified training by the Upledger Institute which has a strong focus on the mechanical aspects of the craniosacral system and rhythm. You may also find Stewart offering yoga classes teaching the aspects of yoga that shine beyond Instagram and the covers of magazines. His yoga wisdom stems from far more than 200 hours of training and even more than the 1,000 hours of teaching required for the e-RYT designation - it is informed by years of deep inquiry into the history, theory and practice of yoga through svadhyaya, travel and discovery. It turns out, if you immerse yourself, physically, mentally and spiritually in study, you find (almost) all the pearls hidden within. Drawing on an intimate understanding of what the mystics could never quite write down, Stewart has built his practice into a fully adaptable system designed to couple the mechanical art and spiritual essence of the craniosacral system giving people a more positive experience in the human body. The Holistic Healing Power of Biodynamic Cranialsacral Therapy. An Interview with Toby Calandra. Q: Toby, thanks so much for taking the time to answer these questions. Where are you from originally? TOBY: I was born in Rochester, New York, lived in Elizabeth, NJ until I was 5, and then settled in Hillsborough, NJ through high school. TOBY: I am passionate about practicing craniosacral therapy, progressive practices in education, and investigating the root causes of illness and behavior challenges with children. Q: Can you tell us what Biodynamic Craniosacral Therapy is and what kind of issues it can help with? TOBY: Biodynamic craniosacral therapy (BCST) is a gentle-touch therapy that works with the whole body. With BCST, the body will heal and nourish itself thereby creating an individualized solution to any problem that is causing discomfort emotionally or physically. My role as the therapist is to support the body both physically and energetically so that it can make whatever shifts it needs to make. My hands follow change as it occurs in my client's body rather than moving his/her body in a specific direction. Q: What is the difference between traditional (Biomechanical) Craniosacral Therapy (CST) and Biodynamic Craniosacral Therapy (BCST)? TOBY: The biomechanical approach addresses imbalances in the client’s system by using gentle touch techniques to release resistance. The primary focus is on the relationship of the bones of the head, the movement of the sacrum, and the movement of fluid around the brain and spinal cord. The biodynamic approach is a whole-body approach that involves helping clients reestablish their own balanced rhythm. This allows the body's own regenerative powers to heal and support on-going maintenance of health. Healing comes from within the client, rather than from the practitioner. BCST allows space and stillness for issues to simply be and have room to reorganize and shift naturally. There is one more approach called Biodynamic Cardiovascular Therapy, which is a compassion based application of biodynamic craniosacral therapy principals to the cardiovascular system. The intention of this work is to support the healing of metabolic syndromes (e.g., heart disease, obesity, diabetes), which are impacting the majority of people in Western countries. I have had training in both BCST and Biodynamic Cardiovascular Therapy. Q: What initially inspired you to study and offer this type of therapy? TOBY: I first learned about craniosacral therapy when I took my son to a D.O. who did osteopathic manipulative therapy. Each week I would watch her work with him until one day I decided to try it myself. When I came back to her and reported what I was feeling, she told me that I was feeling the cranial wave. That started me on a journey of learning this work. The more I practiced, the more connected I felt to the work and the power of the healing possibilities with gentle touch. I love that this work is about honoring the wisdom of the body in discomfort, seeing the client as whole, and listening for the health. I am honored to participate in the practice of providing space for my clients to work out their dis-ease and nourish themselves. Q: What is the cranial wave? TOBY: The cranial wave is a subtle body pulse that is variable and moves at a rate of about 8-12 cycles per minute. The cranial wave responds to stress levels - it speeds up when stress is experienced and slows down when the parasympathetic nervous system is engaged. Q: What is your goal when working with your clients? TOBY: My goal is to provide a nourishing space where my clients' bodies can get to work on what they need to do. I hope to offer people an opportunity to slow down, connect with their inner wisdom, and offer a space to nourish and heal their own body. My clients (children and adults) come to me for various reasons (e.g., body pains, anxiety, stress, curiosity). My hope is that they walk away feeling nourished and settled. I am taking a series of classes on BCST and concussions beginning in March, and I am excited to see the impact that this work has for individuals who have had concussions. Q: What is some advise that you offer your clients, that you think would benefit everyone? TOBY: I think it is important that people listen to themselves and act from their own intuition. Too often, people know they are not well, but do not change their situation to remedy things. If you want to run, run. It you want to meditate, meditate. If you think you "should" do something, ask yourself if you really want to do it. If no, maybe it's not the thing that will really sustain and nourish you. Q: Toby, what does your morning routine look like? TOBY: My son is the family alarm clock, and he starts our morning typically around 6:15am. He snuggles with my husband and I in our bed until 6:30 when he shouts, "It's time to get up!" Then I walk the dog, feed the dog, make my son's lunch, kiss my husband goodbye, play "amazing catches" (football) with my son, and bring him to school. It's a full morning! Q: What do you like to do in your free time? What do you like to do for fun? TOBY: Ahhhh, free time! I love to move my body: run in the woods, parkour, and play with my family (which often looks like football at the Penn Charter football field or baseball at Daisy field). When I want to have fun in a less active way I love reading, knitting, food shopping, cooking and BOARD GAMES!!! Q: What book do you absolutely love and would recommend to our readers? TOBY: There is a terrific book called, "Thanks for the Feedback." Giving and receiving feedback sometimes feels scary, but I think it is a way for us to grow and understand each other. Q: Do you have a favorite quote that helps or inspires you? The first is from Brene Brown: "Blame is a way of discharging pain and discomfort." 1. Just like me, this person is looking for happiness in his or her life. 2. Just like me, this person tries to avoid suffering in his or her life. 3. Just like me, this person experiences sorrow, loneliness, and despair. 4. Just like me, this person is trying to satisfy his or her own needs. 5. Just like me, this person is learning about life." Q: Toby, thank you so much for your time and sharing your passions and advice. Where would folks find out more about you or set up an appointment? TOBY: My office space is in the Germantown section of Philadelphia. I can be reached via email at tobycalandra(at)gmail.com or by phone at 215-882-2790. 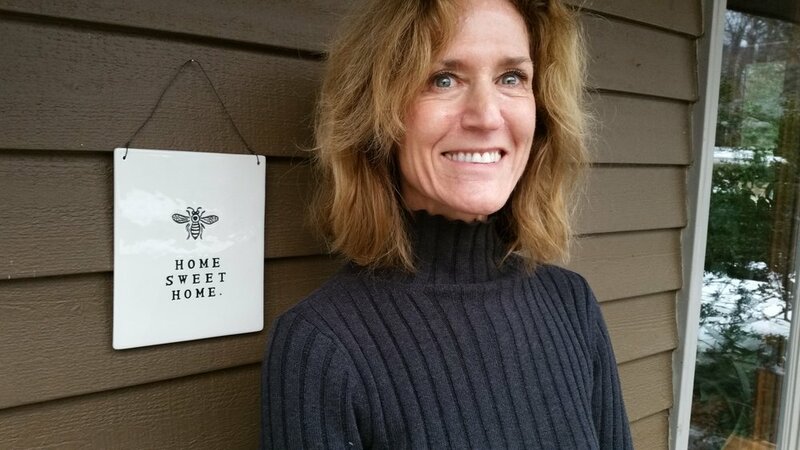 Toby's interest in Biodynamic Cranioasacral Therapy (BCST) began on her journey to support her son with healing his multiple allergies, sensitivities, and intolerances to food and the environment. She is constantly humbled and intrigued by what she experiences on a daily basis related to health, nourishment, and being in this world. In addition to practicing BCST, Toby is a speech-language pathologist with her Master of the Arts in Speech-Language Pathology (SLP) from Indiana University. She has been exploring how her knowledge of BCST and SLP can be uniquely intertwined, especially when working with children with expressive, receptive, and/or social language disorders. Toby lives in the Germantown section of Philadelphia with her husband, their son, and their dog.